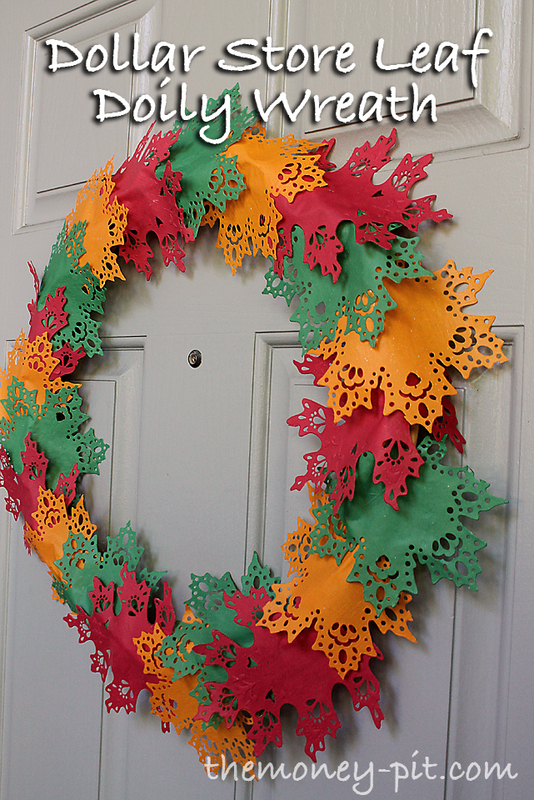 It is time to get all my fall decorations up and I decided this year to make a new wreath for the front door. 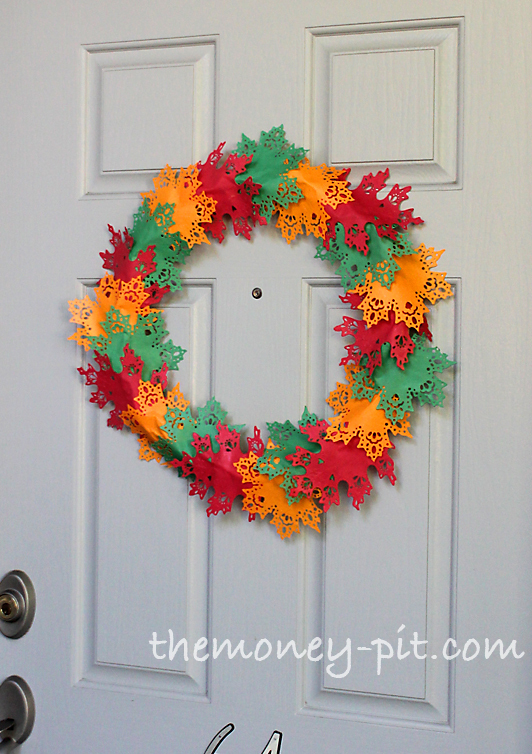 This was seriously the easiest and cheapest wreath I have ever thrown together. 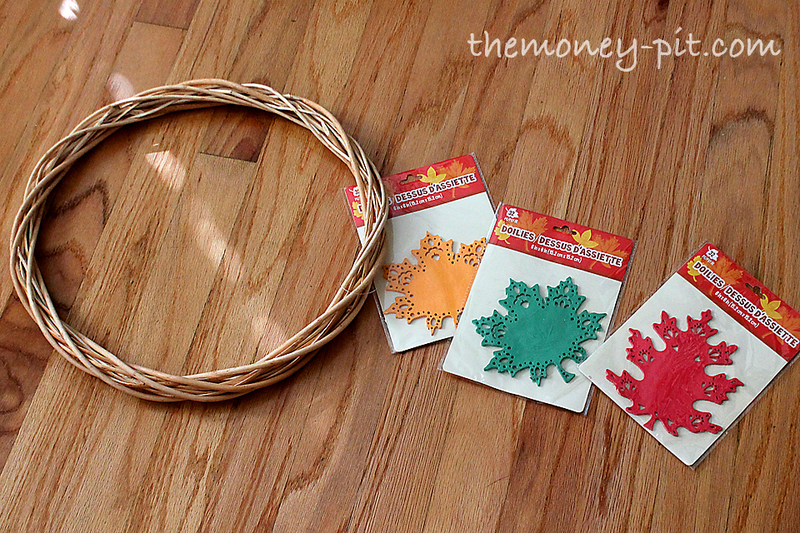 I got all the supplies at the dollar store.. and it only cost me $4!! 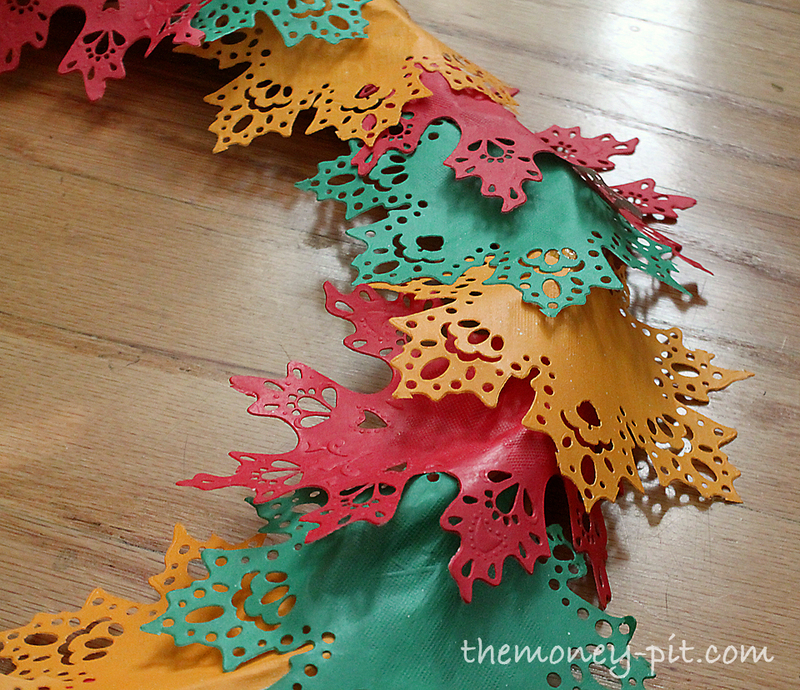 If you didn't mind a monochromatic version it would only cost you $2! YES TWO DOLLARS?! What else in the world could you get for two bucks these days?The supplies are simple. 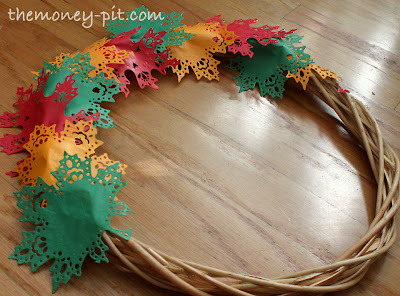 A wreath form and leaf doilies. Side note: isn't the word "doily" just funny? It is strange to see it written.. doily, doily, doily..
Each pack of doilies is plenty to do one wreath, but I bought three different colors to give it variety. You could do a single color if you wanted a different look. Just hot glue the doilies to the wreath form, making sure you stagger them to the left and right and overlap them to cover the entire form. I used a repeating color pattern, but you could also do it randomly. Make sure that you are only glueing down the center of the doily so the laser-cut edges are free. Awesome! 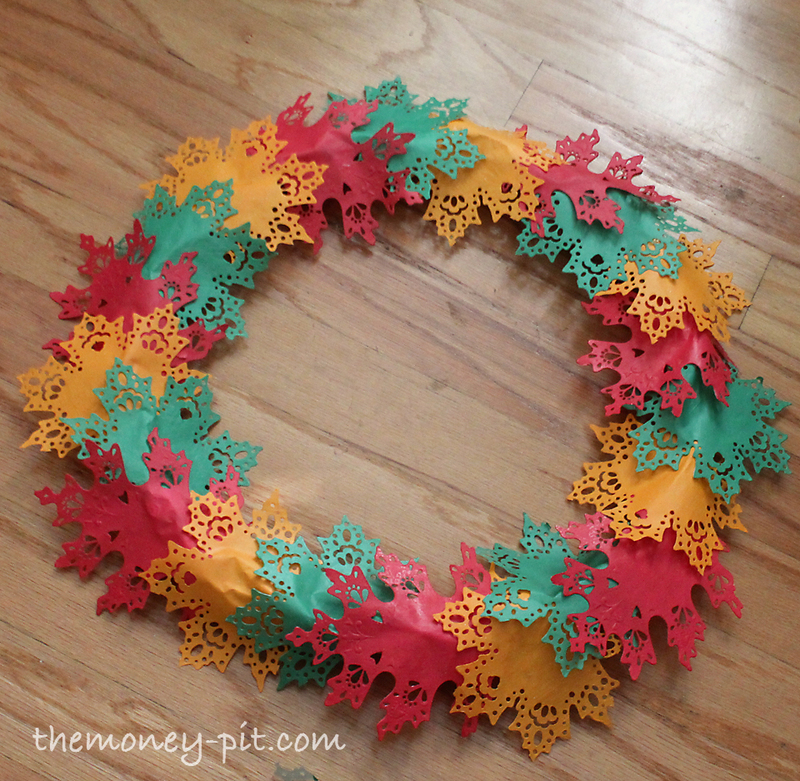 I wish my dollar store carried wreath forms! Great job, love the colors! I wish we had a dollar store over here. adorable :) I love the dollar store for wreath supplies!